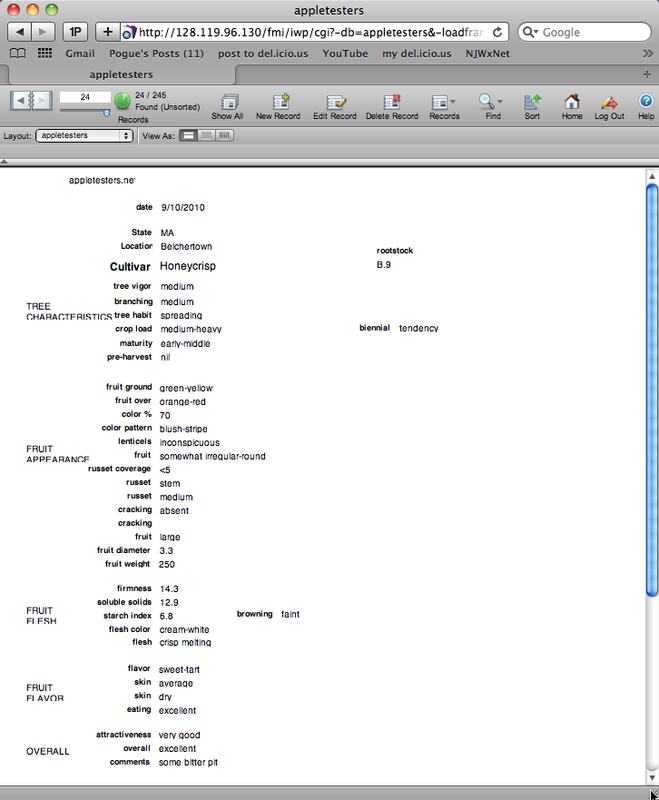 Appletesters.net, a web-based database was enhanced in 2010 to include more database records (122) and a more robust interface. In particular, apple test data from Massachusetts, New Jersey, and Virginia was added. 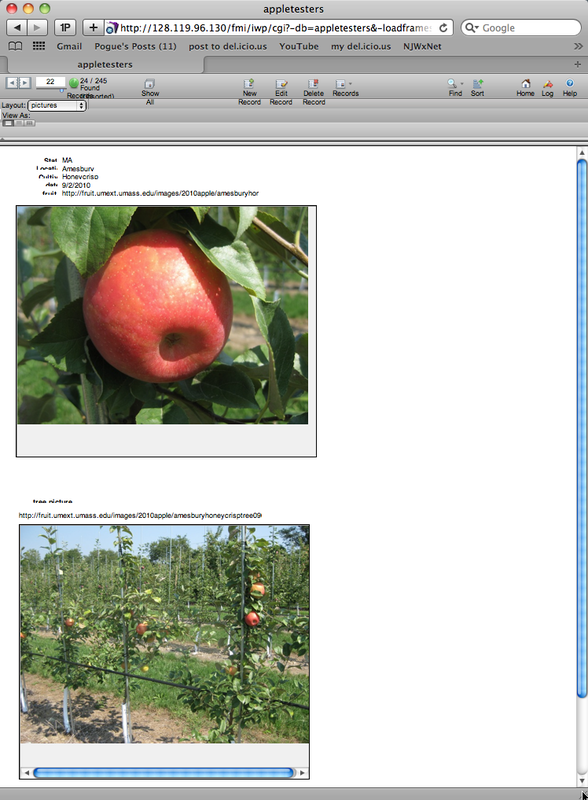 At the end of 2010, appletesters.net includes 246 individual records of apple evaluation(s) of 95 different apple cultivar/strain from three states. Guests or registered users may access the database including a main report, a fruit maturity report, a picture(s) report, and a search function. AppleTesters enables a uniform method of data collection and input for cooperators from any location. In addition, anyone can search or browse the database using search criteria defined by the user. Such information should allow the user to select apple varieties most suited to their growing and marketing environment, including disease- and insect-resistant apples. Future effort recruiting cooperators and adding to the AppleTesters database will make it an even more useful too for all apple growers.